Monolith Productions is hiring up for its next project, and its job postings give some idea about what we should expect to see next from the Middle-earth: Shadow of Mordor and Shadow of War developer. Listings from last year suggest that the studio is working on an open world take on Tolkein’s fantasy world. That position is backed up by a listing for an advanced technical artist, who will be “creating brand new open worlds” using Monolith’s Firebird engine, and a graphics-focused advanced software engineer who “should have an in-depth understanding of modern, real-time open world lighting systems.” Finally, a posting for a senior world artist asks for triple-A open world development experience. All of the aforementioned jobs were posted last year, with some listings dating back to October. 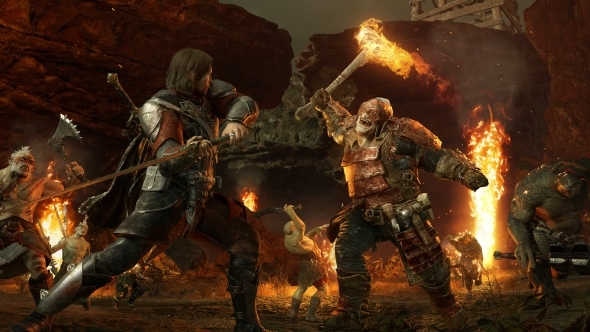 If it weren’t already clear, the wording of those postings makes it sound as though Monolith is hoping to expand upon the versions of Mordor that featured in its previous two games. While Shadow of Mordor and Shadow of War featured expansive levels, they weren’t ‘open-world’ in the traditional sense. In the Shadow games, only Orcs were included within the Nemesis system, which allowed NPCs your character came up against to learn from their encounters with you, and behave differently if they ever came up against you again. The suggestion that humans would also be included within the system could potentially point to a Middle-Earth game featuring more factions, but might also speak to an entirely new IP. That’s all speculation, of course, but given that Monolith has previously posted job listings asking for “a love of sci-fi,” it is possible that they’re planning to move away from their Middle-Earth series for their next project. There’s been no official word on whatever that might be, however, and I imagine we’ll be waiting quite a while to find out.